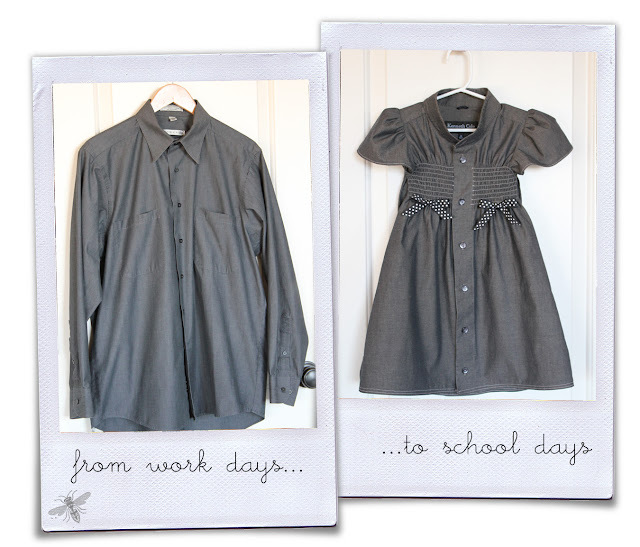 School Dress | Reduce, Reuse, UPcycle! This my be my most favorite men's dress shirt transformation I have ever seen. Girl, Inspired made this absolutely adorable school dress for her daughter. I want one. To get the details, check out Girl, Inspired. Get Featured? Shout about it!